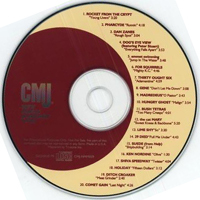 A compilation disc that CMJ New Music Monthly Mag puts out. This is the January 1996 edition. I don't know anything about it; Track listing or what For Squirrels or Subrosa song it featured. If you have any information on it, please email me.